While Venezuelan President Nicolas Maduro has resiliently stood his ground amid Washington's surprisingly transparent coup attempt, today has been a tough one for the embattled leader of the socialist utopia. 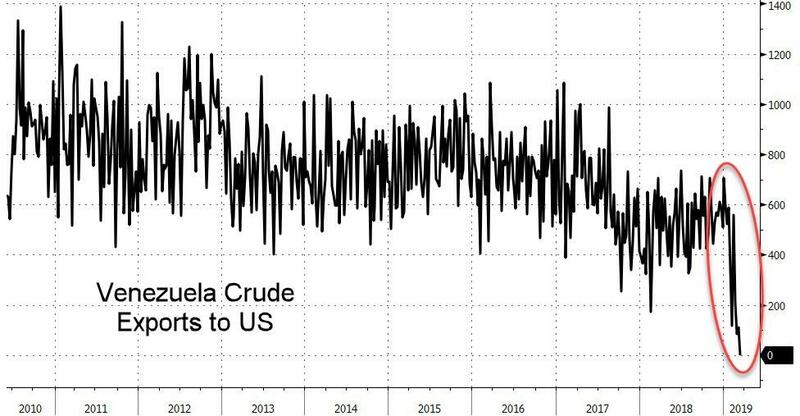 It began with confirmation that the US has now - for the first time ever - reduced all Venezuelan crude oil imports to zero. Squeezing off yet another source of revenue for the sanction-riddled economy. 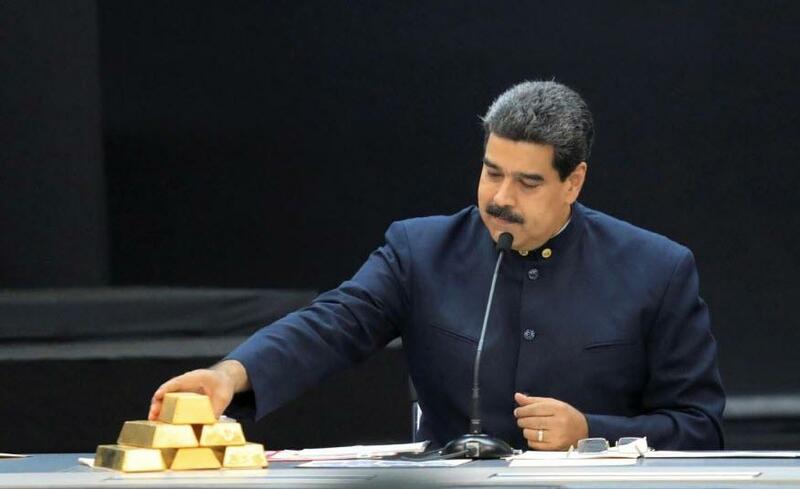 But Maduro then suffered another blow, as Reuters reports that Citigroup plans to sell several tons of gold placed as collateral by Venezuela’s central bank on a $1.6 billion loan after the deadline for repurchasing them expired this month. As Reuters reported then, the deal would make more foreign currency available to President Nicolas Maduro's socialist government as the OPEC nation struggled with soaring consumer prices, chronic shortages and a shrinking economy worsened by low oil prices. "former central bank director Jose Guerra and economist Asdrubal Oliveros of Caracas-based consultancy Ecoanalitica said in separate interviews that the operation had been carried out. A source at the central bank told Reuters last month it would provide 1.4 million troy ounces of gold in exchange for cash. 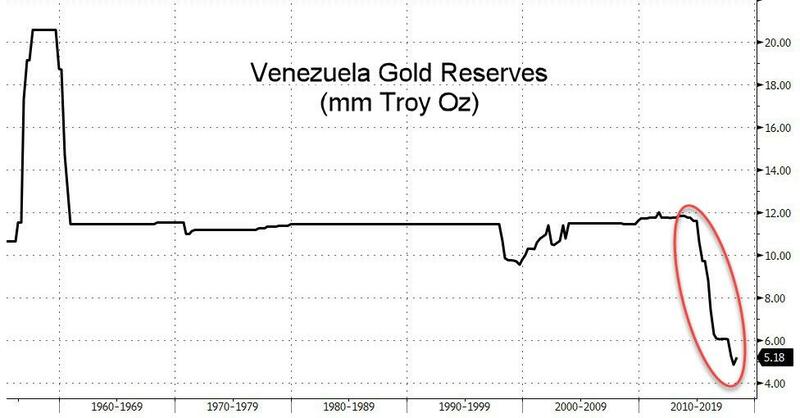 Venezuela would have to pay interest on the funds, but the bank would most likely be able to maintain the gold as part of its foreign currency reserves." 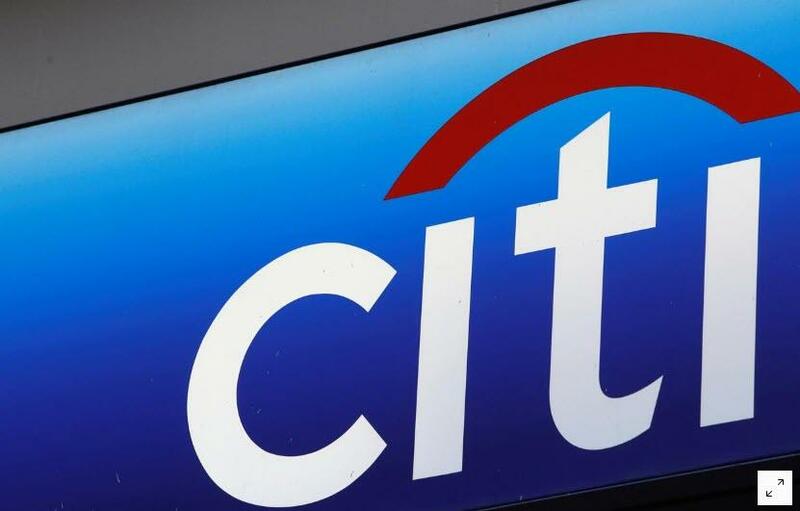 Under the terms of the 2015 deal with Citigroup’s Citibank, Venezuela was due to repay $1.1 billion of the loan on March 11 2019, according to four sources familiar with the situation. The remainder of the loan comes due next year. Needless to say, the socialist country's economic situation is orders of magnitude worse now, and in addition to a full-blown blockade of the country's only key export - see above - Washington's not-so-stealthy coup, and financial system sanctions, making it impossible for Maduro to repay the loan and claim back his nation's gold collateral. And so, as Reuters reports, Citibank plans to sell the gold held as a guarantee - which has a market value of roughly $1.358 billion - to recover the first tranche of the loan. 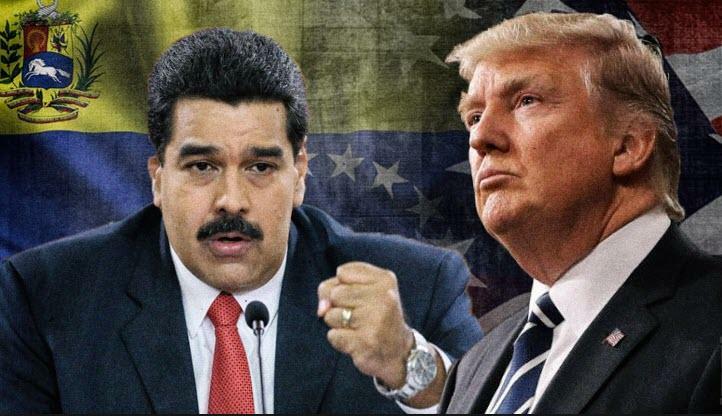 Additionally, under the likely guidance of Washington's coup-leaders, Citi will deposit the excess of roughly $258 million in a bank account in New York, two of the sources said; which is out of the reach of Maduro but very much available to Trump's chosen one - Juan Guaido. Meanwhile, far from pushing to reclaim its gold, Maduro has only been selling more of it, as Abu Dhabi investment firm Noor Capital confirmed when it said earlier this month that it bought 3 tons of gold from Venezuela’s central bank, but would halt further transactions until the country’s situation stabilizes. Guaido has also asked British authorities to prevent Maduro from gaining access to gold reserves held in the Bank of England, which holds around $1.2 billion in bullion for Maduro’s government. So far the British central bank has refused to comply with Maduro's demands to remit the gold back to Venezuela, although when asked for comment, the BOE said it does not comment on client operations. 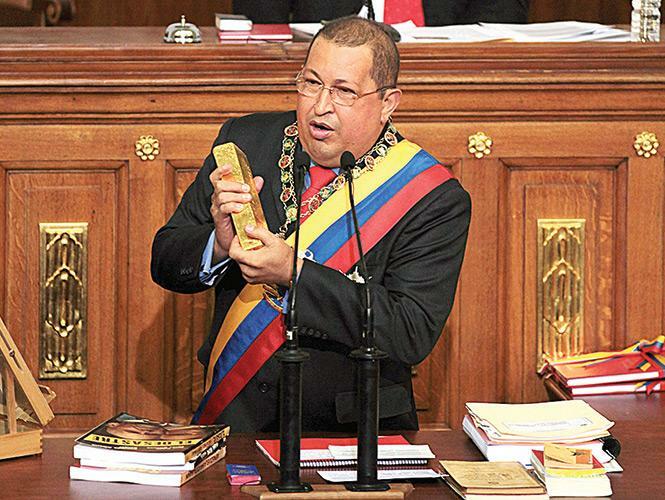 Meanwhile, Hugo Chavez, who spent the last years of his life repatriating Venezuela's gold is spinning in his grave.